WPPizza Square addon is a WordPress addon that allows customers to pay for their pizza products using Square payment. The plugin will allow logged in and not logged in users to pay for products via square. Using addon you will have an option to add Square payment settings. View all orders payments placed via square. 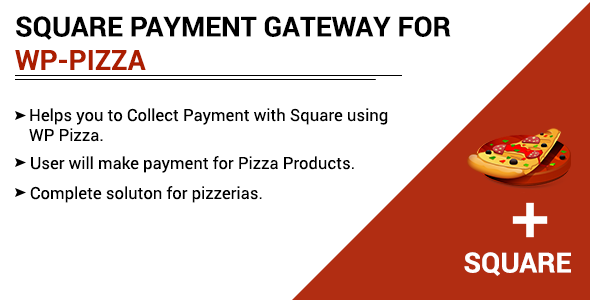 Select WPPizza which the Square payment settings will be added from (WPPizza–>Gateways–>Enable Square). Admin could make refunds via Square, change status to “Refunded” then check the checkbox of “Refund in Square” and click ok. Select “Square” radio button as payment method while checkout, the following popup will be displayed to pay via Square.